Did you know it’s #NationalPizzaDay on February 9th? If you didn’t, the majority of students on campus are most likely aware and now you have to scramble to get something posted onto Snapchat or Instagram on time. This situation may sound pretty familiar right? Don’t worry, it’s not your fault- social media is a fast-paced industry with several moving parts! You’re probably sitting in a meeting right now reading this email. A solution would be a social media calendar with content ready for you to use. 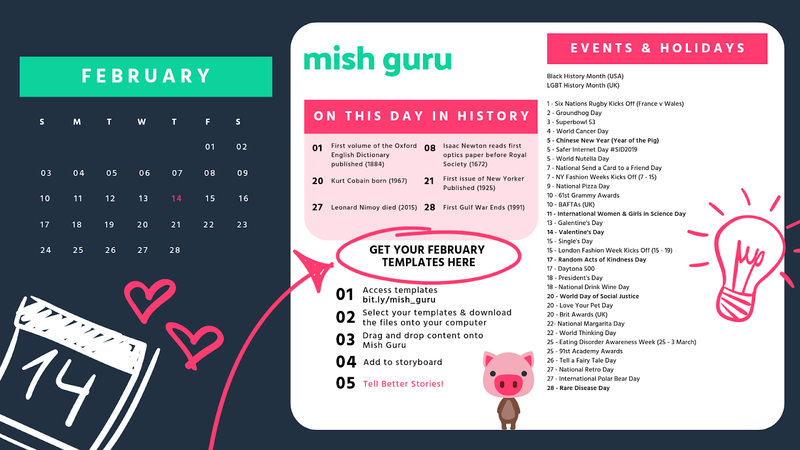 Luckily for you, the team over at Mish Guru has been hard at work in creating a social media calendar with templates you can schedule and publish ahead of time. Speaking of #NationalPizzaDay, our friends over at Houston Community College’s social media team inspired us to create a template about the most debated topic on this special day...PINEAPPLE on pizza? Yes or no? We want to hear YOUR thoughts!